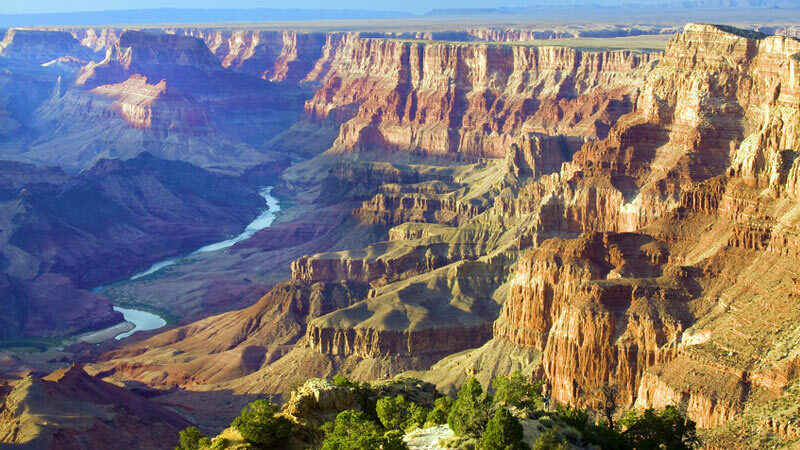 You’ll cross the South Rim of the Grand Canyon near Grandview Point and soar across the widest deepest part of the gorge! 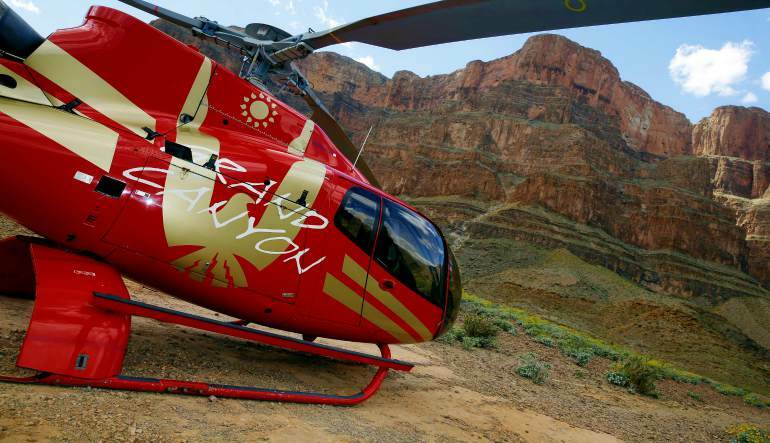 The Majestic Helicopter Tour starts at the Grand Canyon National Park Airport (GCN) at Grand Canyon South Rim. 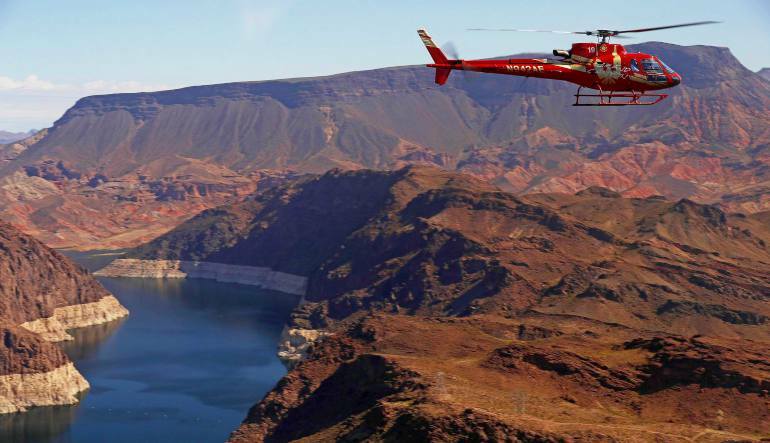 After settling into your touring helicopter’s bucket-type seats and lifting off, you’ll cross the South Rim of the Grand Canyon near Grandview Point and soar across the widest deepest part of the gorge, peering 5,000 feet down to the sculptor of the Canyon – the Colorado River. The Grand Canyon’s higher, more wooded North Rim has whole different look and feel than the drier South Rim, supporting unique forms of plant and animal life. After a short pass over this remote Grand Canyon National Park, it’s time to head back to Grand Canyon South Rim via the Dragon Corridor, one of the Grand Canyon’s most photogenic areas. 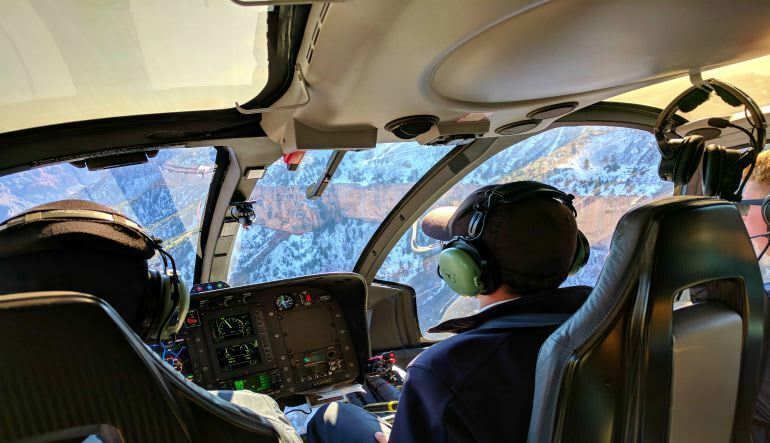 As you look back on your Grand Canyon helicopter tour, you can travel with confidence knowing that you saw the most of the Grand Canyon in the shortest amount of time possible, and went first class all the way. Amazing experience. Witnessing how majestic the Grand Canyon is from high above is a unique feeling.